The Board of Supervisors will deliberate this year about potentially enacting a Community Choice Energy program in Santa Barbara. Also known as Community Choice Aggregation, such programs ​— ​which have been approved or are in the works in Sonoma County, Marin County, and the City of Lancaster ​— ​are born from a state law passed in 2002 that allows cities and counties to buy electricity wholesale and sell it to customers. The governmental bodies get to pick where the energy comes from and set the prices, while the utility companies ​— ​in Santa Barbara County, a mix of Pacific Gas and Electric (PG&E) and Southern California Edison (SCE) ​— ​remain in charge of delivering the energy, handling customer service, and billing consumers. How much it will cost to study a possible program remained murky on Tuesday, with county staff estimating around $2 million and CEC staff guessing between $500,000-$700,000. The board voted unanimously to reach out to individual cities, as well as neighboring counties, to gauge their interest. 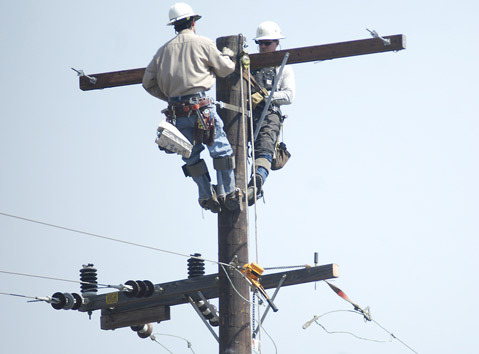 Harder cost numbers and input from PG&E and SCE will be presented at the budget talks in June.